Nive Christodoss is a Licensed Clinical Therapist with over two decades experience working with clients in need of therapy and supportive services. 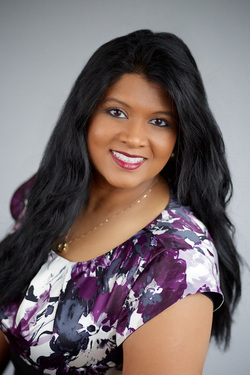 Nive obtained her Masters Degree in Counseling Psychology in 1995 from Trinity International University/Trinity Evangelical Divinity School, Deerfield, IL. Her extensive experience encompasses crisis intervention, psychological assessment and diagnosis, case management, individual, group, family and marital/couples therapy utilizing faith based counseling. She has specialized training and skills in CBT (Cognitive Behavioral Therapy), DBT (Dialectical Behavioral Therapy), ACT (Acceptance Commitment Therapy); contemporary treatment modalities that have proven highly successful for many clients. Her work history includes supervision and management of behavioral health programs as well as providing effective psychotherapy. This comprehensive experience and insight of business operations and experience providing clinical services proves to be valuable when working with clients in professional roles and those employed within larger systems. Nive develops individualized patient-centered treatment plans that utilize support, accountability and education to reach mutually established therapeutic goals. She is passionate about working with clients to empower and strengthen their ability to address specific problems while progressing toward attainment of their life goals. She works closely with clients in order to ensure she provides them with specific and actionable knowledge, tools and skills needed to attain mental wellness.